This is a guest post from Susan K Finston, President of Finston Consulting. A little over five years ago I penned the first installment in this irregular series, focused on Israel’s tech transfer prowess and efforts to encourage innovative life-sciences. I tracked the Start-Up Nation’s incremental progress here. In a nutshell, Israel leveraged excellence in basic science and tech transfer for successful commercialization of military, communications and related technologies – just about everything except commercial biotechnology. In June of 2010 I participated in a bilateral US-Israeli biotech breakfast where Israel’s senior science officials expressed frustration at the absence of global biopharma R&D centers and sought advice on how to improve the enabling environment for biopharma. Then over the space of 5 years Israel went from zero to hero, attracting 20+ global R&D centers backed by global life sciences companies; new clinical research opportunities; early launch of innovative products by global companies (benefiting Israeli patients); and ongoing commercialization of important innovative healthcare products by Israeli companies for the global market. Israel’s life sciences milestones over the last year include the first billion dollar acquisition of an innovative clinical stage company, Neuroderm, acquired by Mitsubishi Tanabe Pharma Corporation.for $1.1B, and the Merck Group’s recent announcement a new 20 Million Euro seed fund for early stage biotech companies. Israel’s Weizmann Institute of Science (WIS) was ranked the 6th leading research center in the influential Nature Index 2017 Innovation; the only ex-US site included in the top 16 research institutions. 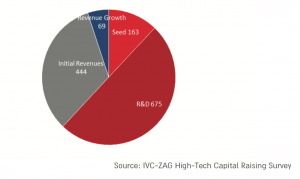 And the number of active biotechnology companies continues to grow (chart below). What made the difference? In two words: Intellectual Property (IP). Innovative life sciences start-ups rely on effective application and implementation of legal protections for intellectual property, and for many years Israel lagged other OECD level states in terms of protection for commercially valuable clinical dossiers, ie data exclusivity, and patent protection for biopharma inventions. Israel makes for a fascinating case study on the decisive impact of effective IP for commercial biotechnology. Despite a longstanding and highly-effective tech transfer framework, unparalleled science literacy and durable fiscal incentives, implementation of data exclusivity and patent reforms ultimately set the stage for the Start-up Nation’s ongoing success in innovative life sciences development. 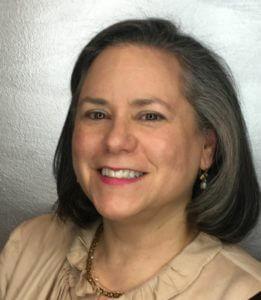 President of Finston Consulting LLC since 2005, Susan works with innovative clients ranging from start-up to Fortune-100 companies, trade associations, foundations, governments and NGOs, providing support for legal, transactional, policy and “doing business” issues. Together with biotechnology pioneer Ananda Chakrabarty, she also is co-founder of Amrita Therapeutics Ltd. Previous experience includes 5.5 years with the Pharmaceutical Research and Manufacturers of America (PhRMA), where she led the international patent reform advocacy in the MENA region and South Asia (India), and 11 years as a career Foreign Service Officer (FSO) at the US Department of State with overseas in London, Tel Aviv, and Manila. She is a member of the Illinois and U.S. Supreme Court Bar. Do you have a response to Susan’s post? Respond in the comments section below.